Katherine Tarbox was thirteen when she met twenty-three-year-old &quot;Mark&quot; in an online chat room. A top student and nationally ranked swimmer attending an elite school in an affluent Connecticut town, Katie was also a lonely and self-conscious eighth-grader who craved the attention her workaholic parents couldn't give her. &quot;Mark&quot; seemed to understand her; he told her she was smart and wonderful. When they set a date to finally meet while Katie was in Texas for a swim competition, she walked into a hotel room and discovered who-and what-her cyber soul mate really was. 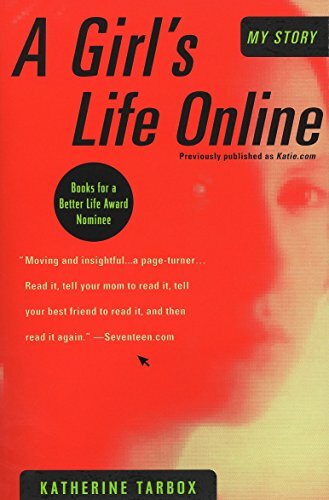 <p></p>In <i>A Girl's Life Online</i>, Tarbox, now eighteen, tells her story-an eye-opening tale of one teenager's descent into the seductive world of the Internet. Tarbox's harrowing experience with her online boyfriend would affect her life for years to come and result in her becoming the first &quot;unnamed minor&quot; to test a federal law enacted to protect kids from online sexual predators. <p></p>In an age when a new generation is growing up online, Tarbox's memoir is a cautionary tale for the Internet Age.